Home » San Diego Lawyer » What is a Complete Estate Plan? 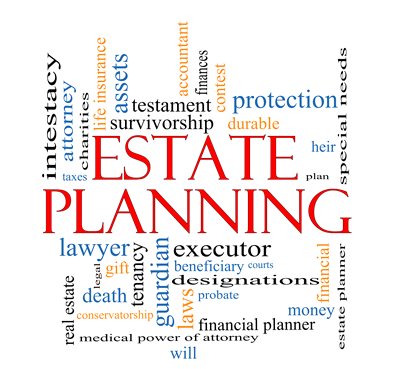 What is a Complete Estate Plan? Posted on Mar 22, 2016 in San Diego Lawyer | Comments Off on What is a Complete Estate Plan? Q: What is a “complete estate plan”? Q: How often should I get my estate plan reviewed? GQ: Your Estate Plan documents should typically be reviewed every 3 to 5 years. I mostly look for changes and life events. A few of the things you want to look for to consider reviewing your trust are: whether you bought or refinanced your home or modified the home loan; Whether any of the people acting as representatives in the estate plan (Will, Trust, Power of Attorney, etc.) such as the successor trustee and executor, have either become in eligible or have died. Q: How fast can an edit of my complete estate plan be prepared? At my office we typically allow two weeks to have your estate planning documents prepared. It is possible to do it in a much shorter time. I had a friend ask me if we could do an estate plan the next day to allow her to leave on a international trip following day. We did it. No problem! I recently had a client that needed to create an estate plan within three days. We accommodated him as well. Hey – please remember that I am not giving legal advice here, just learning materials.